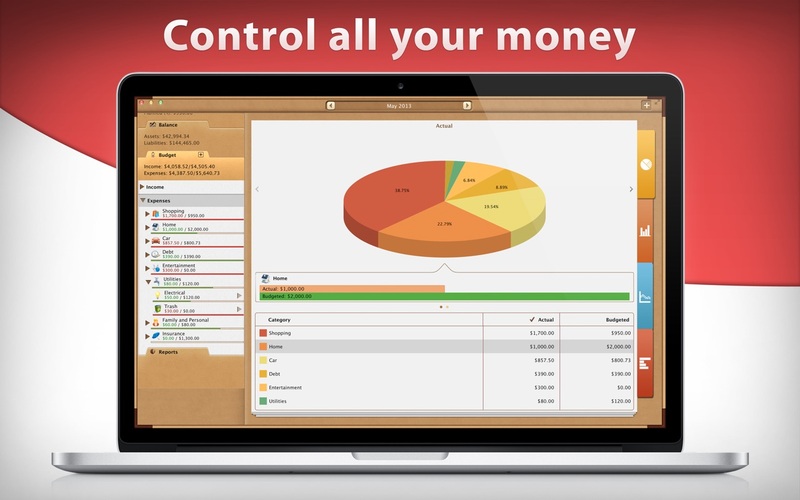 Money (with sync) 6.6.13 – Ultimate personal finance management. Financial planning applications come in all forms and shapes and, although there are a lot of such utilities on the Mac platform, there are some that come with special features like its the case of Money (with sync). The Money (with sync) app features integrated support for iCloud, Apple’s synchronization service, which means that, once you log in into your account using your Apple ID, all your Money (with sync) data will be available across any of your Apple devices, effectively eliminating the need of backing it up using an off-site backup service. Money (with sync) also enables you to plan both your expenses and income via an interface featuring detailed categories designed to enable you to effortlessly track and keep a close eye on all your payments and bills. This way you will be able to pinpoint the areas where you can actually save money, instead of giving them away without a second thought. In addition, Money (with sync) was created to help you monitor and closely track your checking, savings and credit card accounts, to easily import your OFX banking statements and to rapidly download your bank data from most bank in the USA. One other important tool that Money (with sync) comes with is the bill planner which will allow you to create your own system of alerts and reminders to let you know when a bill is due. This planning feature has integrated support for both recurring and automatic bills and, thus, you won’t have to worry again if you’ve paid your bills on time. On top of all of the above, Money (with sync) has a complex and very easy to use financial visualizing engine that will make it very quick and painless to get a simple to understand graphic overview of all your incomes and expenses. Using this tool, you will be able to create your own up-to-the-minute graphs and diagrams describing your budget and account balances in an uncomplicated visual manner. All in all, Money (with sync) can prove top be a worthy ally when you’re having to fight debt or you’re trying to save money for various projects. Next story Anesidora 1.03 – Listen to Pandora on your Mac. Previous story Navicat Premium 12.0.27 – Combines all Navicat versions in an ultimate version.